Do you like to visit Takayama and Shirakawa-go from Nagoya in a day? 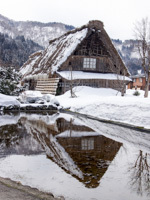 We provide you a private and customizable Shirakawago tour for you. If you are interested in visiting Shirakawago and Takayama in a day or 2 days, please contact us. A bus company gives us a special offer of their 14-seater (including driver's seat) van or 18-seater minibus from Nagoya. 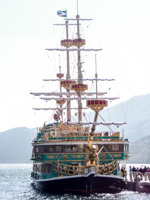 This is the most recommendable tour plan for groups of up to 16 pax for Takayama and Shirakawago. Duration of tour is 10 hours (more in winter time). Since this is a private car hiring, departure time and place can be flexible. 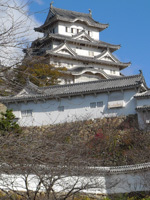 No additional hotel pick-up charge within the center of Nagoya City, Gifu City, Gifu-Hashima Station or nearby places. Longer tours available with additional costs. 9:00 Meet with our driver at Nagoya Station or your hotel (free hotel pick up for the hotels in the center of Nagoya). Price of the tour is fixed at 120,000 yen (14-seater van) and 130,000 yen (18-seater minibus) including driver, highway tolls, parking fees, an English-speaking guide, and 8% tax. Meals and entrance fees are not included. During high-season such as new years holidays, service charge will be added. There is only one car available. So please ask for the availability. For the list of Takayama/Shirakawago tours, please visit our special site for Takayama and Shirakawago from here. Alternatively, you take train from Nagoya Station to Takayama Station, and meet with our driver at the station. This option is generally cheaper. Payment can be made by online credit card payment system. Customers are requested to pay prior to the day of the tour. Customer shall pay total amount upon booking to secure the reservation. Delaying of the payment may cause the loss of reservation. The Company cannot guarantee any reservation without the timely payment of the tour fees. Above itinerary and price are just an example. You can customize your tour for your particular needs and interests. You can stay overnight either at an onsen (hot spa) hotel in Takayama or at a farmer's inn in Shirakawa-go. If you are already fed up with Japanese dishes, then we can take you to a Thai Restaurant in Takayama City. Please tell us your needs and interests. We can provide you with a customized itinerary and quotation. for inquiry about Takayama/Shirakawago tour from Nagoya. For the details of Takayama and Shirakawago, please see respective pages. Fun Lead International Co., Ltd. (travel agency registered in Gifu Prefecture) and Hitonomori Co. Ltd. jointly operate tours.